And from the 02, we came back here! Please see yesterday’s post if you haven’t already. If you’ve read, you’ll know that Jessica was absolutely gutted to miss out on dessert yesterday, and now you know why! She’s a lover of doughnuts, cronuts, but never have we had a crone! A tower of doughnuts topped with fruits and ice cream! They were ridiculously good! They proved to be extremely popular, so much so that by the time we got there at 5pm they were already restocking from one of their stores. There was a wait to be had so had to fill that time in eating a doughnut each of theirs. 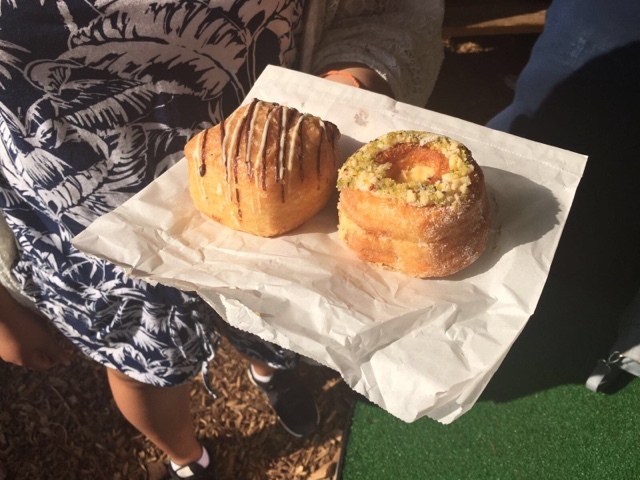 One was with almond and pistachio, and the other was chocolate and the other was the Yum Yum Dum Dum – their signature doughnut. 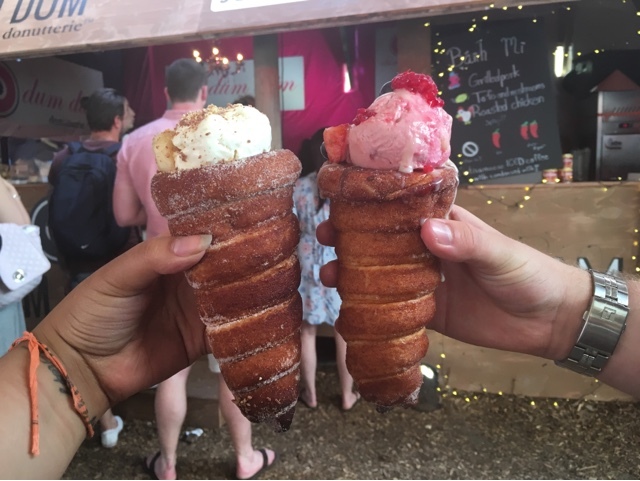 They were as good as they look so if you’re around Old Street tomorrow, or Shoreditch or Camden (where there other stores are) at any time, take a trip to Dum Dum Donutterie! They also have a concession at Harrods non the less.